Yield milk meter / flow / digital - MM10 - ATL - Agricultural Technology Ltd.
Livestock Farming > Milking equipment > Flow milk meter > ATL - Agricultural Technology Ltd. Stand: ATL - Agricultural Technology Ltd.
MM10 ATL - Agricultural Technology Ltd. 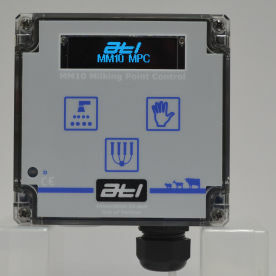 The MM10 milk meter is an entry level system with milk yield measurement (± 5%) and milking time. It connects to the Micro M5 parlour control and Cowculator M5 PC software.